If there is ONE thing you should do while on vacation Italy that is to ride through the Tuscan countryside off the beaten path and ON a bicycle! 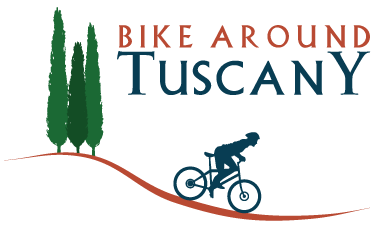 Tuscany bike tours are the ultimate adventure to complete any trip to this beautiful area of Italy. 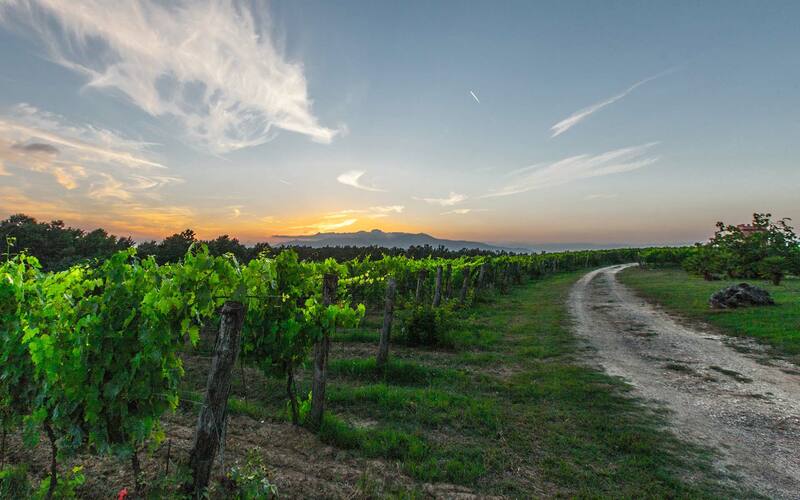 Just think how exciting it is to ride through Chianti vineyards and secular olive groves, viewing first hand the secrets behind the harvest and world renowned wines and olive oil. Enjoy pedaling around medieval castles and quaint stone hamlets dating back to the middle ages, stopping along the way for a well-deserved gelato. A perfect way to truly enjoy magnificent Tuscan countryside and spend a day in the great outdoors. Any time of year is great for a bike tour of Tuscany, the scenery you will experience on a Tuscany bike tour is always postcard perfect. Great master painters like Botticelli, Caravaggio, and da Vinci himself painted the Tuscan landscape, defining it as a universal icon for beauty, and a bike tour in Tuscany will give you first hand vistas of what they were seeing and transferring to canvas. The Etruscan countryside has remained unchanged for centuries so all of the backdrops you will see are just the way they were back in the renaissance. Stone buildings and elegant villas blend perfectly with the greenery as a prime example of how humankind and nature can live together. The seasons speak to visitors through fragrances that change four times a year: spring welcomes abundant wisteria and fluffy lavender bushes; summer sun shines on sunflowers and sweet fruits like figs and blackberries; fall is harvest, the most festive time of year when the air is inundated with the scent of san giovese grapes – the primary berry for Chianti wine – and later on, olives; winter brings colder temperatures and well-needed rain, but it doesn’t stop Tuscany bike tours! Bike through vineyards and olive groves, and around castles and villas. 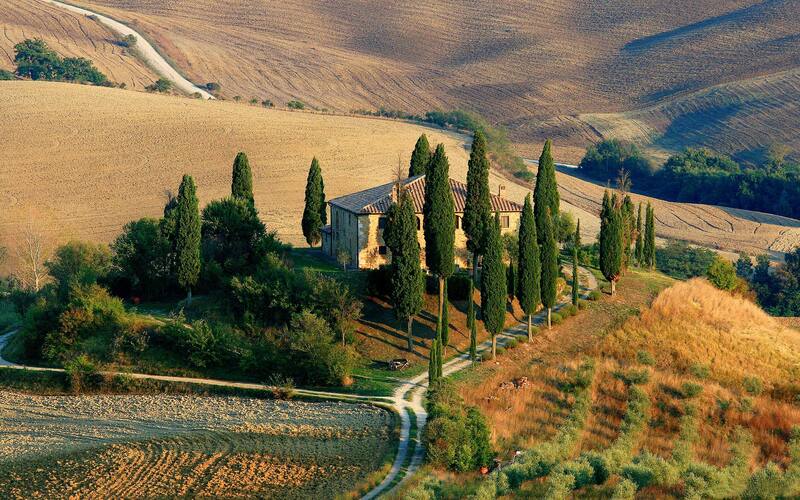 Exploring the countryside of Tuscany, Chianti vineyards and lavish viewpoints. Experience a Tuscany tour that brings you face to face with history. dating back to the middle ages, stopping along the way for a well-deserved gelato. Your custom bike tour in Tuscany goes for as far and as long as you like no matter level biker you are. The sky is the limit with a little help from ‘magic’ bikes that ease the pain on untrained legs and make biking around Tuscany accessible to all. For expert riders there are plenty of mountain bikes or hybrids to choose from, as well as carbon fiber road bikes for a high powered workout after all that pasta you’ve been having. Biking equipment includes your wheels, a helmet, a water bottle, and roadside service. After your ride you will be sent road stats by email showing distance and altimetrics so you can brag about your adventurous Tuscany bike tour. 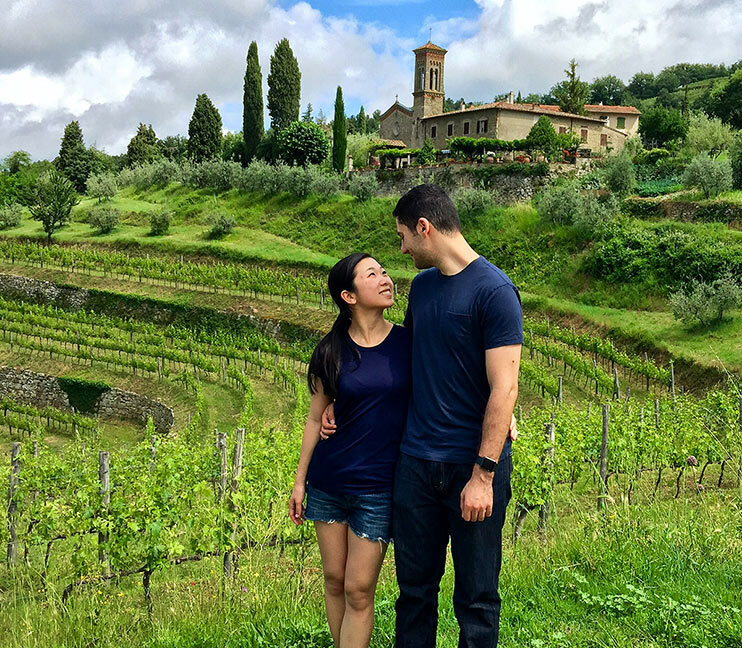 Half day, full day, two and three day excursions – choose your favorite bike tour in Tuscany and get ready to coast over breathtaking Tuscan ridges; top off your half day ride at a family-run estate for wine tasting plus snack on Tuscan cheese and salami, then tour the cellars where it all begins. The full day tour includes a stop for lunch in a Tuscan stone village surrounded by vineyards where you will be served a hearty dish of Tuscan ‘pici’, the pasta specialty in the Chianti region. The two- and three-day rides take you from Florence to Siena stopping overnight in two different Tuscan towns, your bags are moved by us. All rides are personalized, no two are alike! 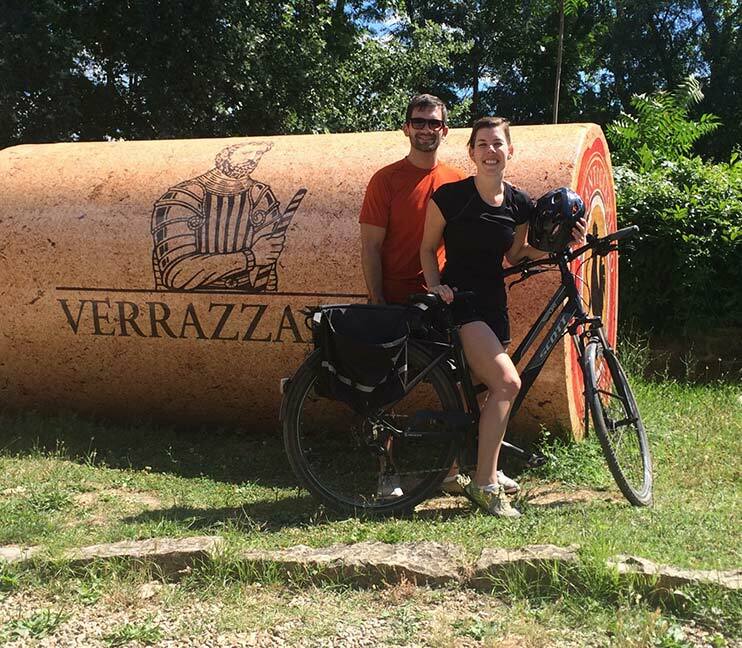 Your ride is led by Luca, a local biker and Tuscany bike tour enthusiast who loves to unveil the best scenery for picture perfect memories and tell endless stories about ancient legends and modern secrets of this phenomenal part of Italy.